Counterfeiting involves the fraudulent creation of products, or money with the intent of using it as a valid trademarked item. Forgery (known in the legal system as Uttering A Forged Document) is the altering or creation of a document in order to commit fraud, without the knowledge of the proper authorizing party. It may include the creation or altering of a document, or the mere signing of someone else’s name. These counterfeit products may include: merchandise such as: clothes, piracy of CDs & DVDs, electronics, and pharmaceuticals, or documents such as: government licences & certificates, property deeds, stocks, bonds & legal tender. These instances of fraud are considered white collar crimes, and are often accompanied with the criminal act of identity theft. In order to legally defend these types of cases, an extensive amount of evidence gathering and research is required in order to properly prepare for your defence. When an individual is charged with forgery or counterfeiting, an extensive investigation is usually performed, often by federal agents. If you have been charged for fraud, or suspect that you are being investigated, it is critical that you turn to a Toronto criminal defence lawyer to begin preparing for what could be a complex case. 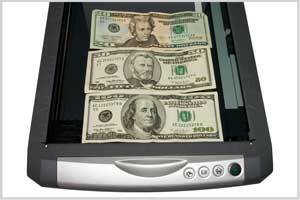 Have you been charged with Counterfeiting and / or Forgery? Each and every case of fraud or counterfeiting is different and may result in varied consequences, however an individual can expect extensive prison time, as well as fines and community service work, or restitution. Other social consequences follow such as a criminal record limiting the ability to travel, and the difficulty in finding employment. (b) causes or attempts to cause any person to use, deal with or act on it, as if the document were genuine, is guilty of an indictable offence and liable to imprisonment for a term not exceeding fourteen years. 368(2) For the purposes of proceedings under this section, the place where a document was forged is not material. R.S., 1985, c. C-46, s. 368; 1992, c. 1, s. 60(F). 369 Exchequer bill paper, public seals, etc. (c) makes, reproduces or uses a public seal of Canada or of a province, or the seal of a public body or authority in Canada, or of a court of law, is guilty of an indictable offence and liable to imprisonment for a term not exceeding fourteen years. R.S., c. C-34, s. 327. (b) tenders in evidence a copy of any proclamation, order, regulation or appointment that falsely purports to have been printed by the Queen’s Printer for Canada or the Queen’s Printer for a province, is guilty of an indictable offence and liable to imprisonment for a term not exceeding five years. R.S., c. C-34, s. 328. We realize that your future is at stake with the outcome of your trial. It is crucial that you retain a lawyer that is capable and experienced with having charges reduced or dropped. Your best defence will begin with a discussion with us of the events leading up to your arrest. We will investigate and build your case to project a lack of intent to commit fraud, and employ other strategies to help you attain the best possible outcome in your situation. Our legal team of Bruce Karten & Stephen Hebscher have over 60+ years of experience in dealing with complex fraud, forgery & counterfeiting cases in Toronto, and are well established to attain a successful outcome through an aggressive defence – call now to set up a free confidential consultation to discuss your case. See what our other clients are saying about us. We can help you too!